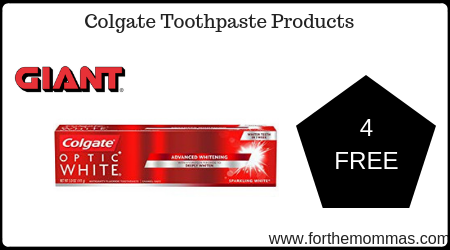 Starting 4/12, Giant has a great deal on Colgate Toothpaste Optic White. It is priced at $4.00 each, plus we have a $2/1 Colgate Toothpaste coupon insert to use on this deal that will further reduce the price. In addition you will earn $10.00 in gas rewards points that will make the final price FREE + $2.00 moneymaker.